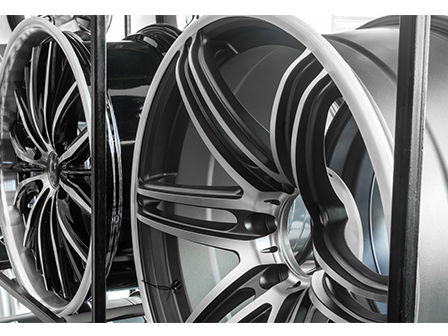 Ace Finish offer powder coating and diamond milling for alloy wheels. 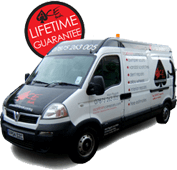 Based in Godmanchester, near Huntingdon, Cambridgeshire, we are perfectly located for Bedford, Cambridge, Peterborough, Huntingdon and St. Neots. Junction 24 off the A14. 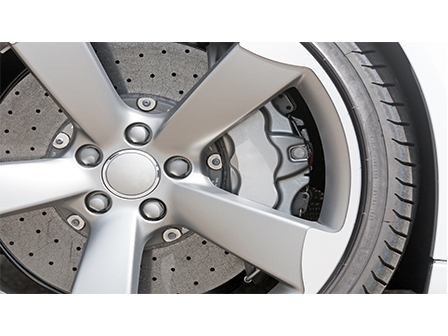 Diamond cut alloys are now the preferred choice of most manufacturers inc Audi, BMW, Mercedes and now Citroën and Nissan. Ace Finish has invested in a special CNC (Computer Numerical Controlled) lathe from America. 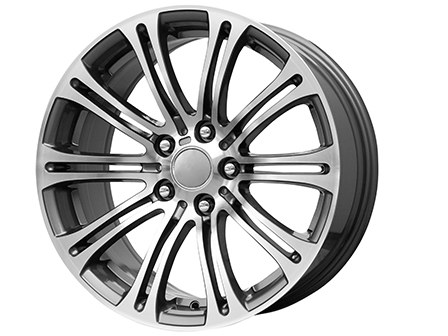 The Lenco CNC is specifically and solely designed to diamond cut alloy wheels. 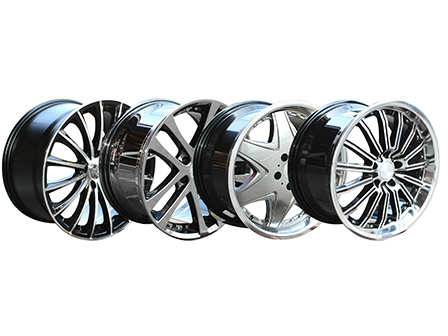 We undertake repairs to diamond cut wheels. Your wheels will be chemically stripped of all paint and lacquer, before being fully refurbished and cleaned in our specialist aqua blast cabinet ready for powder coating. Once the painted wheel has been cured, it will be mounted onto the CNC machine and the face of the wheel will be precision machined to give it the diamond cut finish. The alloy wheel now has a powder coated and unique diamond cut, two tone finish. After machining, the wheel is cleaned again, and heated in an oven where we apply an anti-corrosion additive. Next, an acrylic lacquer is applied to the wheel before it’s returned to the oven for the final curing. Once cured, tyres are refitted and wheels are balanced.